I believe the power of prophetic art ministered by the Holy Spirit can break a strong hold. I know you are in pain and you are suffering. You feel like you are slowly disappearing into the air. You feel unimportant, unnoticed, unacceptable, unloved, and unseen, but God sees you. Except he sees you through his lens of Truth. Truth is you are this amazing, wonderful, talented, gifted, lovable, caring, fun to be around, beautiful person he has created you to be. You can’t see the beauty because you are so blinded by the rejection and the deception. You are not even close to what you have been thinking you are lately. It’s time to be healed from those damaging thoughts. The Lord is ready and waiting to heal you and make your mind and your personality whole again. 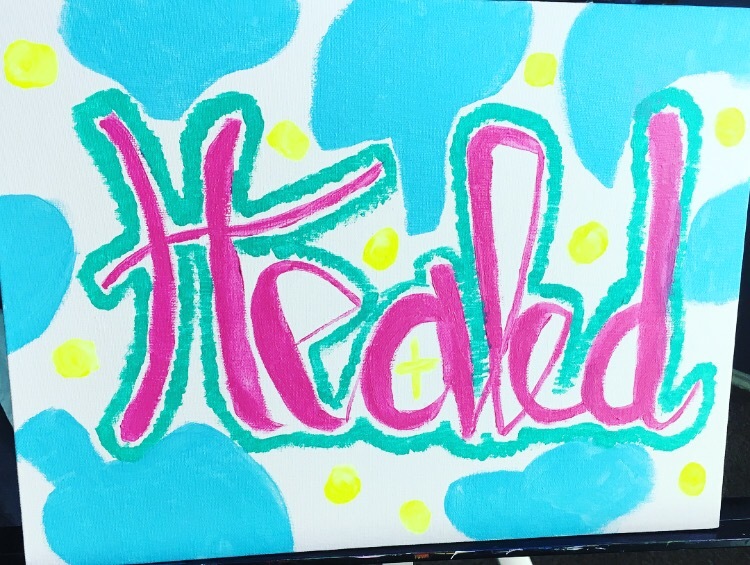 He is ready to heal you of that depression, all you have to do is ask him to heal you and you shall be healed.